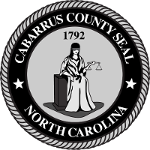 Precinct officials can be recommended by the political parties and are appointed by Cabarrus County Board of Elections for a two-year term beginning in August of odd-numbered years. The CHIEF JUDGE is the head official in charge of election day activities and picking up and returning election day supplies. The JUDGES work closely with the Chief Judge and are responsible for conducting the election in the Chief Judge’s absence. They must sign all official documents and serve on a panel to resolve any challenges. The ASSISTANTS serve when needed and at the discretion and direction of the Chief Judge. RESERVE ASSISTANTS attend training seminars and are available to go to any precinct and work on election day if needed. ONE STOP WORKERS work during the two week period prior to an election when early voting is being conducted. All officials are required to attend training sessions conducted by the Board of Elections prior to each major primary and general election.